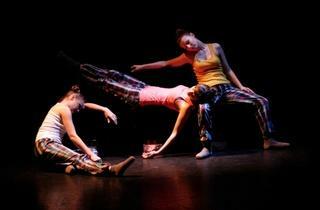 In this piece promising young dance company the Rockesellettes create a dream world with creativity and good humour. 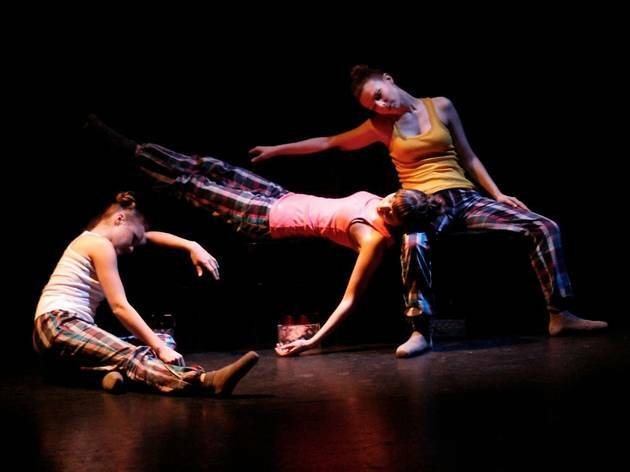 On a stage set out with just a few chairs, three smiling, pyjama-clad dancers (Marie Lebeau, Fany Astorg and Marine Orphelin) dance, sing and play percussion to tell the story of a child’s fantasy world, where one day you can be a vagabond and the next a celebrity singer. Using both the deconstructed movements of hip-hop, the professional pointe work of classical dance and song, poetry and boogie woogie, this isn’t just a simple fairytale with simple imagery, though children will be able to follow the ruptured rythms, narrative games and leaps through time. Only a few winks to clowns and mime will escape the younger viewers – this is a delightful show that will entertain the kids without boring the grown-ups.